Since moving into the new location, there have been deliveries of dozens of new items. This has meant a lot of puzzle-work in the cooler to keep everything in its right region, and less time to promote our new stuff– believe me, there’s a lot of new stuff coming in! A whole array of cans, both domestic and imported, have made their shiny way onto our shelves: Occidental Kolsch (crisp and light but interesting, from Portland); Evil Twin’s Hipster Ale (those crazy Danes! ); canned options of Baba Black Lager and Wyld from SLC’s Uinta. A note about Uinta: everything I’ve had from them has been great, if offbeat at times. The Baba is a classic look at Schwarzbier– a German lager with roasted malt such as Weyermann Carafa, which imparts a hint of roast to bready Pilsner and Munich malts– a rare style in the craft beer scene (Heater Allen’s is great too). Sour/wild beers have been growing steadily in popularity; many hop-heads have branched out into these similarly big-flavored beers, and they are a great way to broaden a wine-drinker’s perspective on the range of flavors in beer. 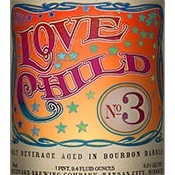 Boulevard Brewing, out of St. Louis, MO, has put out several beers with Brettanomyces (a wild yeast that lends a particular funk; ranges from tropical fruit to “barnyard” flavors), and Love Child is the most recent on our shelves. It’s tart up front and finishes with a farmy Brett. funk with round malt and tart cherry notes in the middle. If you’re looking for “way out” rarities, look to the nomadic Brian Strumke of Stillwater Artisanal Ales. We’ve got a handful of his beers, most of which are brewed collaboratively in Europe (Strumke started the brewery in Baltimore, MD). He’s part of the new wave of “Farmhouse” breweries like Commons in Portland and Agrarian Ales just up the road in Coburg. The general dub Farmhouse gives the brewers some leeway when it comes to style– the beers tend to be on the ‘flight-of-fancy’ end of the spectrum. Stillwater’s are no different: Gypsy Tears, brewed at Fano Bryghus (also with Mikkeller) on an island in western Denmark, is a strong Stout brewed with wild yeast. 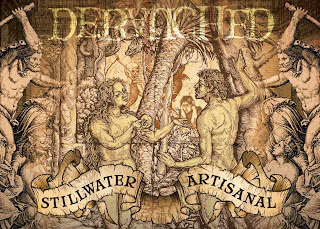 Debauched, also brewed at Fano, is, according to the website, “brewed with whole juniper bushes, farmhouse ale yeast (brettanomyces) and a touch of smoke. Like a Viking Saison, yeah.” Crazy hippies. I’ll publish a list of all the new beers of the week on Friday. Hopefully this will keep you drooling until then.